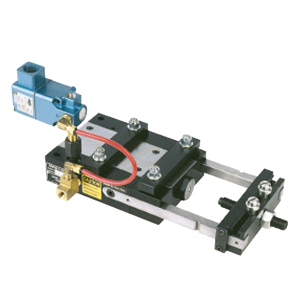 An alternate to the standard actuating valve provided with each feed. 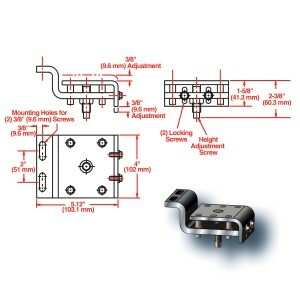 Electric valve 2-way, normally open, 115 vac/60hz one size for series A & B feeds, one for Series C, D, F, H, J & W feeds, and another with quick exhaust for Series L, P, FX & LX. To accommodate special material configurations, such as extrusions, delicate surfaces or soft, pliable materials. Rubber, leather, nylon and vinyl are among the clamp insert materials available. 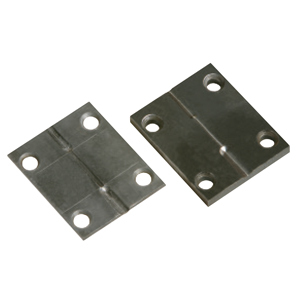 Replaceable wear plates can be grooved to accommodate special shapes and sizes. 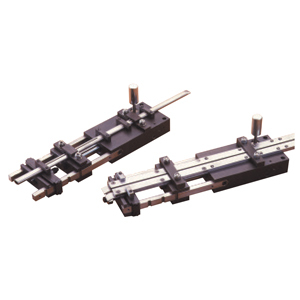 Specialty designed guides to prevent buckling of very thin flat or wire stock feeding at high speeds and/or long progressions. Enables feeds to accurately feed very limp delicate stock, including metals, teflon and other tapes, foil strips, fabrics, paper, photographic film and gasket materials. Material (even skeleton) is sandwiched between two endless belts to move it into or out of a press or other machines. See-through high-strength plastic safety guard shields the moving mechanism. 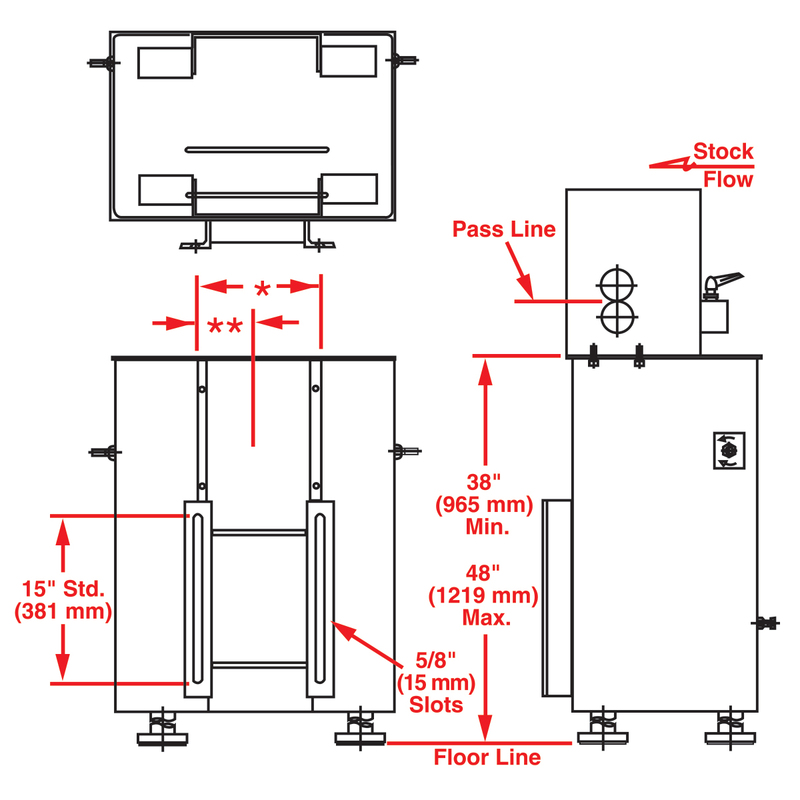 For applications where safety requirements include machine guarding. 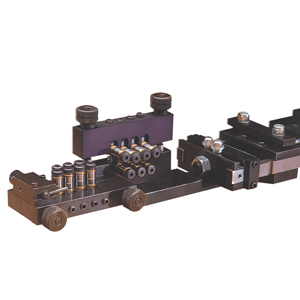 The spring-loaded stock clamp, optional with all Rapid-Air feeds, is recommended for most applications. 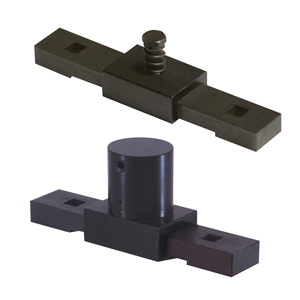 For unusual requirements, the pilot release stock clamp is available. An electric signal actuates the pilot release clamp so that it lifts completely to allow for free movement of stock to position material when pilots are used. Solenoid valve not included. Order separately from Rapid-Air. Add-on flat stock and wire straighteners for air feeds. 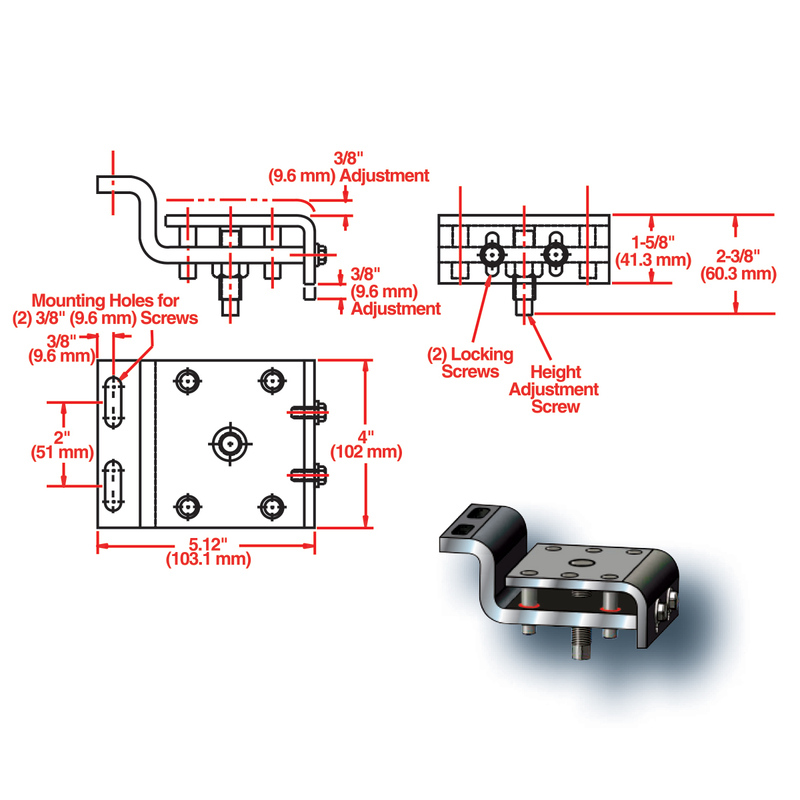 Models SO and WO can be attached to our air feeds for special light duty applications. Conveys scrap or parts quickly and economically. Crisp, sharp tray action shuffles parts off faster. 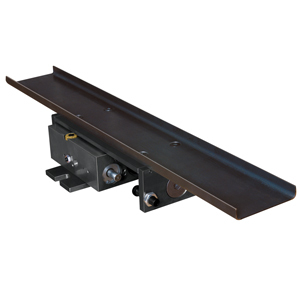 Eliminates costly conveyors and belt replacement. Compact low profile for better clearance. Easily mounted. Perfect for tight areas. Low cost, long life wear parts. Precision designed and built with the same rugged reliability as our Rapid-Air feeds. 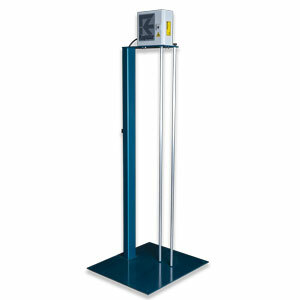 Air pressure operating range 20 to 80 psi (1.4 to 5.5 bar). Easy access speed adjustment screw for fine tuning. Easily moves 10 lbs. (4.5kg) at 40 psi (2.8 bar) air pressure. Accepts higher pressures for heavier loads. Special shuttle trays, tray surfaces and accessories available. NOTE: May also be used with MS2. Adaptor plate required. 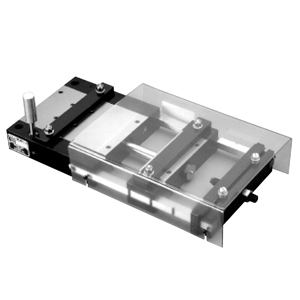 Adjustable mounting brackets are available for all servo feed models. 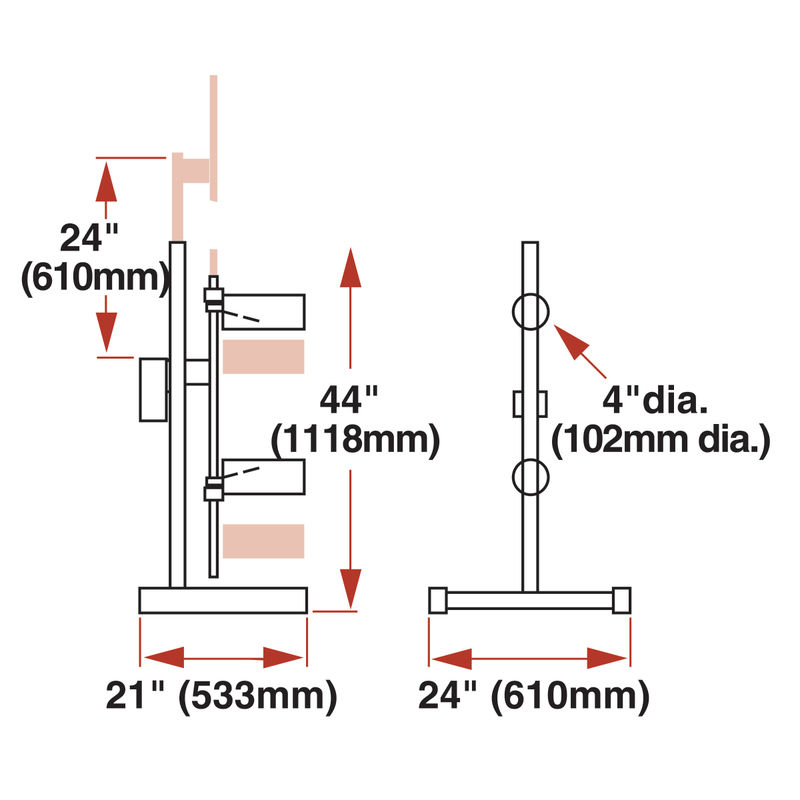 Consider adjustable stand for wider, heavier models. Fully adjustable entrance cascade rolls are available for all models. 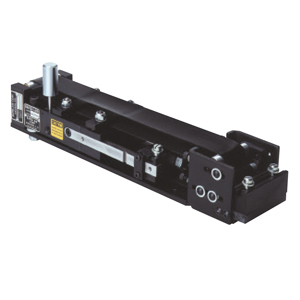 Adjustable servo cabinets available for wider, heavier feeds. Fabricated, fixed servo feed stands also available. Contact Rapid-Air with requirements. * Contact Rapid-Air with your requirements. ** Contact Rapid-Air with your requirements. Entrance/exit cascade rolls. 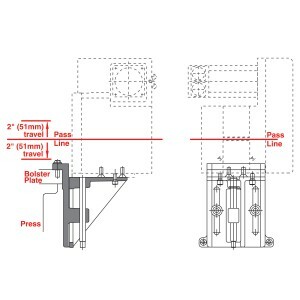 Fully adjustable entrance and/or exit cascade rolls are available for all models. Automatically adjusts the operating speed of a powered reel to maintain a free material loop and to match material flow to a required line speed. No moving parts, no stock contact, no loop sensing arm, mechanical linkage or other hardware. 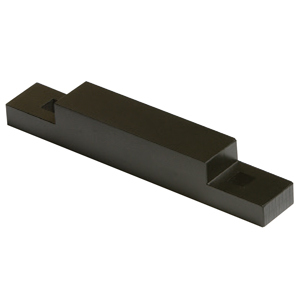 Works with equal precision for both conductive and non-conductive materials. 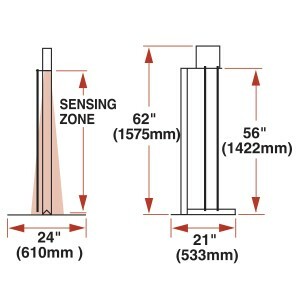 The optical distance sensor locates the material position anywhere in the sensing range. Signals are transmitted to an integral microprocessor which programs the speed of the coil reel. A free loop, even at high speeds, can be kept under precise control without erratic stop and start. Special stock types and configurations can be processed without damage – regardless of coil coating finishes, density or capacity. The Rapid-Touch system works without use of a material sensing arm by sensing the upper and lower position of conductive material. 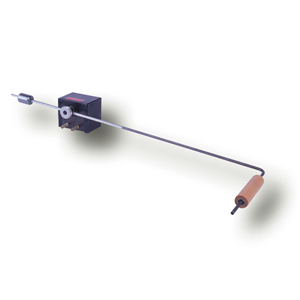 For use with non-conductive material, an adjustable probe is furnished on the inside of the large diameter, flexible sensors. As the material ranges between the sensors, a solid state controller automatically sets the most uniform line speed for continuous operation and changes this speed to match variable requirements. Power requirements and interfacing are satisfied when the plug connection is made with the Rapid-Air reel. 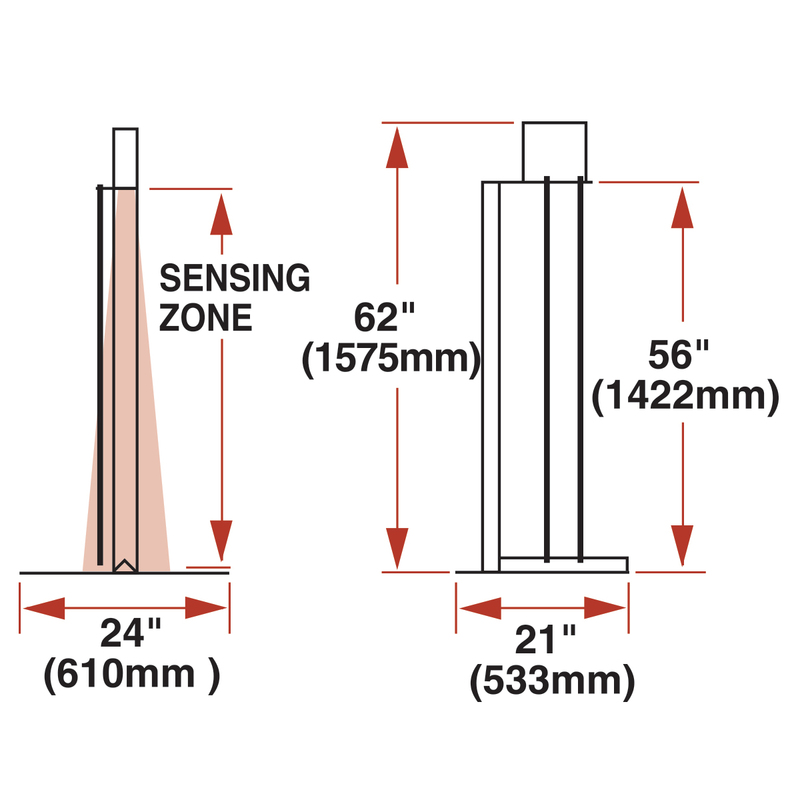 Sensor height is adjustable three ways to accommodate varying material loop positions. 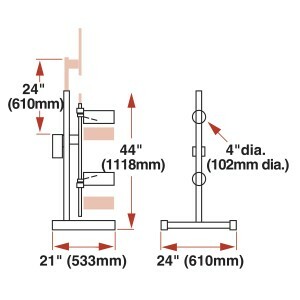 Remote mount single actuating arms. 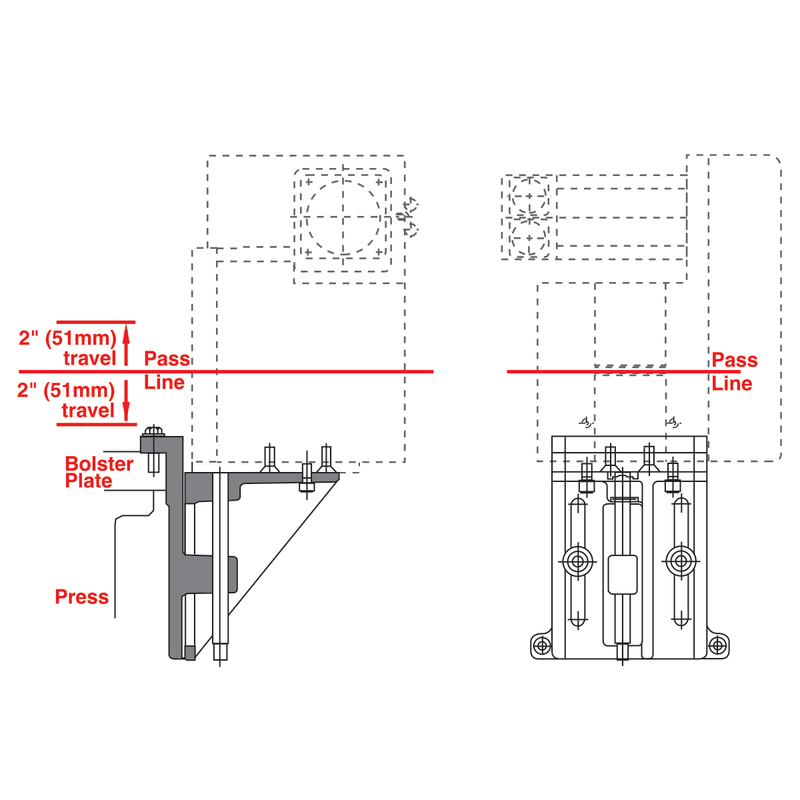 The modular design of our Rapid-Air proportional loop arm allows it to be remote mounted. 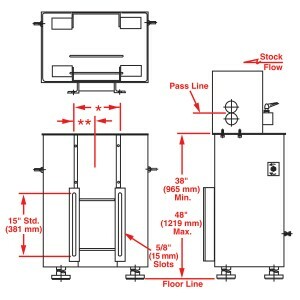 This offers operators a high degree of loop flexibility in unique payout and rewind applications. Included with all powered reels and straighteners. 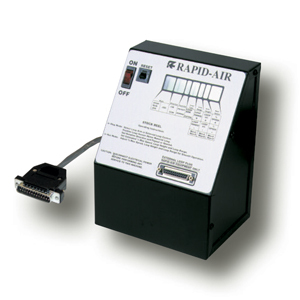 Our standard loop control for Rapid-Air power products is a pushbutton unit with digital display. This very flexible proportional control allows fine setting or speed, loop angle and loop height. A remote or external loop sensor may be plugged directly into this control as an alternate loop control. 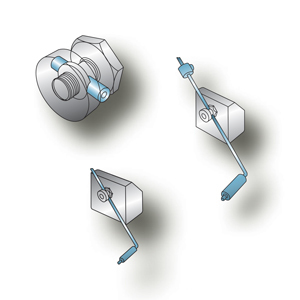 LEFT TO RIGHT: Standard Adapter, Lightweight Arm, Counterbalanced Arm. On DC Drive reels and stock straightener loop control. 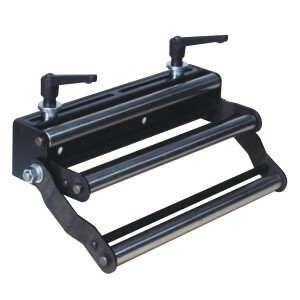 Both a lightweight low inertia loop sensing arm and a heavier, counterbalance arm can be used on all powered reel models. The counterbalanced arm fits directly through the loop sensing arm shaft. 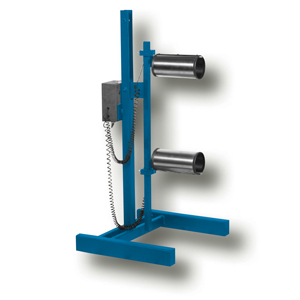 A counterweight can be shifted to apply more or less tension to material being payed out or rewound. When the lightweight arm is used, it fits into a sleeve that is inserted in the shaft hole and locked into place.